Kodi is an amazing video streaming player that is perfect for anyone who likes movies, TV shows, and sports. Using different add-ons the Kodi player can stream video content from different sources on the Internet. If you have been using Kodi for a long time and it suddenly stops working, you might feel irritated. However, don’t worry. We have provided some solutions that can quickly fix the Kodi not working issue. Many times you cannot watch a video in Kodi because the video link is no longer valid. Before performing troubleshooting steps, you need to ensure the problem is in Kodi player by opening different video links. If you see none of the video links open in Kodi player, it means that problem lies with the Kodi player. In this case, use these solutions in the order they appear here, until you are able to resolve the error. Since Kodi plays the majority of the video formats, you need to have updated graphics drivers. If you are experiencing problems watching videos, the reason can be outdated graphics drivers. You can update graphics drivers using Driver Downloader software. 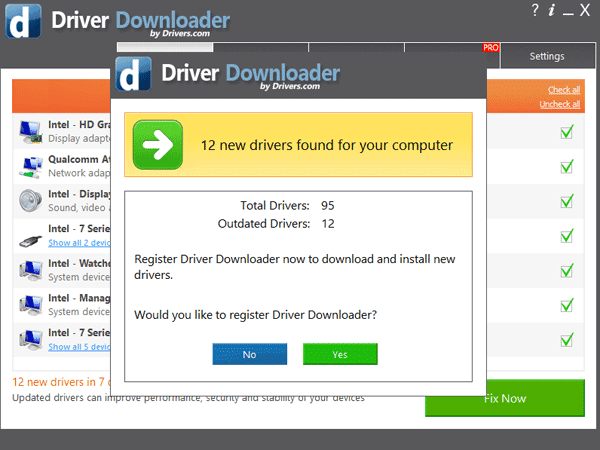 Driver Downloader software offers you an easy way to update all drivers on your system including graphics drivers. It has a very simple interface and even a novice user can update drivers through this driver update software. With Driver Downloader, you don’t have to worry about finding technical details of your computer. 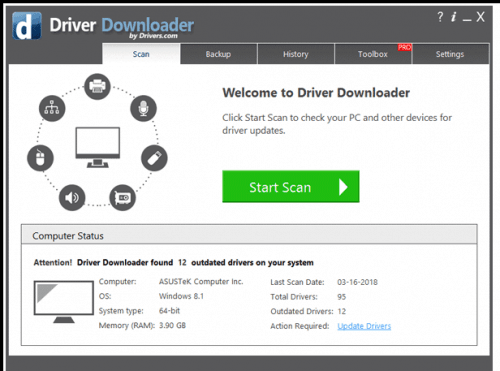 The Driver downloader software will automatically scan your system and give you an option to update all drivers automatically. When you click on the link to download DriverDownloader, you might get two options- Run or Save. Some users mayn’t get these options. Instead, they will see the setup file download starts automatically. If you select Run option, the installation of the DriverDownloader will be initiated automatically after the file has been downloaded. If you select Save option, the setup file will be downloaded to Downloads folder. Then you would need to manually start the installation by browsing to the Downloads folder and double-clicking on set up file. 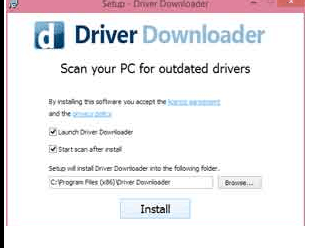 After the Driver downloader software is installed, it will scan for outdated drivers and present information about outdated drivers. When you click Yes, the tool will automatically download and install the latest drivers, including the latest graphics drivers. If the Kodi not working issue is not resolved after updating graphics drivers, you would need to also update DirectX. DirectX is part of modern Windows operating system and the updates for DirectX are generally made available through Windows updates. Before performing any steps to update DirectX on Windows, you need to first check the version of DirectX on your system. Here is some important information about DirectX and their versions on different Windows operating systems. If you see your system has latest DirectX version, you don’t need to perform steps given below. You can try other solutions to fix the Kodi not working issue. How to update DirectX on Windows? As mentioned earlier, Microsoft does not provide standalone versions of DirectX. To get the latest supported version of DirectX for your Windows OS, you need to install all pending updates that will automatically update DirectX on your Windows system. Hardware acceleration in Windows allows you to specify performance of graphics hardware on your system. In Kodi, hardware acceleration is enabled by default. When Kodi stops working, disabling hardware acceleration might fix any issues in Kodi. Here are the steps to disable hardware acceleration in Kodi. Add-ons are known to store cache every time you use Kodi player. If you have not cleared cache of add-ons for a long time, it can result in too much cache that may cause Kodi to behave erratically and throw up errors. The simple solution to this problem is clearing add-on cache. On the right-hand side, you can see add-ons installed in Kodi. Having many add-ons gives you several entertainment options but sometimes too many add-ons can cause Kodi player to behave erratically. The simple solution to this problem is disabling add-ons that you don’t use frequently. Here are the steps you need to follow. Note: If you know the add-ons that need to be disabled and also know their respective category, you can go ahead and select the category first and then double-click on the add-on you want to disable. If you are not sure about which add-ons to disable but want to see all add-ons installed and then take the decision to disable a few, select all which will give you a complete list of add-ons. Kindly note the add-ons with a check mark are the ones installed in your Kodi player. Scroll down the list to select any add-on you want to disable. View our post How to install Exodus add-on in Kodi?